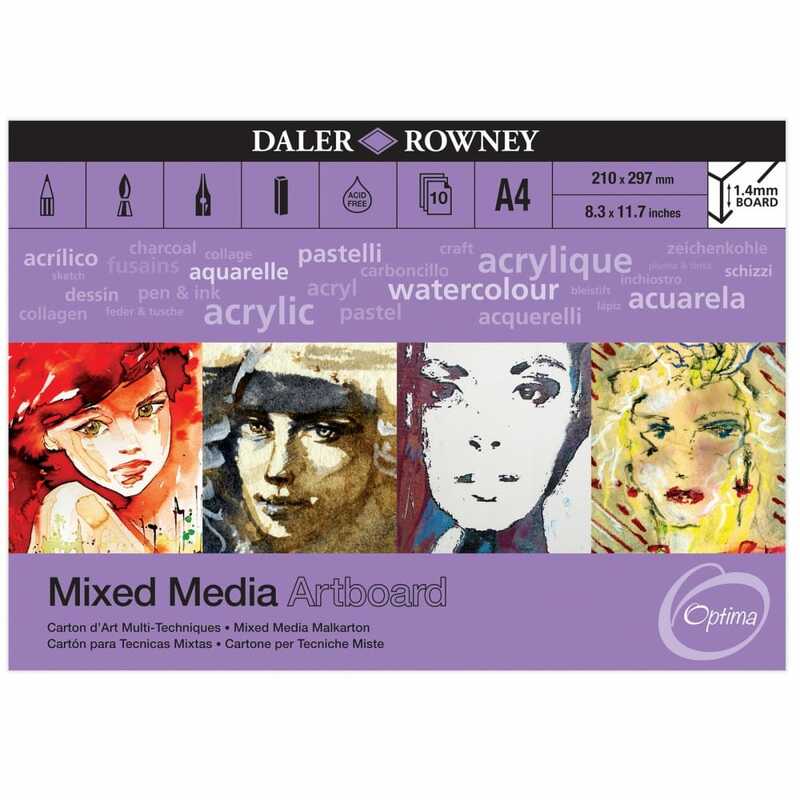 This high quality artboard is designed for traditional art, mixed media, collage and visual journaling. Each lightly textured, natural white sheet board is a joy to use for a variety of wet and dry techniques. Each pad has 10 sheets, acid free and the boards are 1.4mm depth which will prevent any of your paint soaking through even with heavy and thick paint applications. I was originally looking for PastelMat and while speaking to Jon of Crafty Arts, he suggested and showed me this product. I was suitably surprised with the great all-round quality and the price, which was around 40% cheaper. Have used Polychromos, Luminance and both Faber Castell and Caran d'Ache Pastel Pencils on it so far, with amazing results. Definitely a contender to rival PastelMat.